A mock-up of the new Corpus Christi 2018 Business Directory, which will be distributed to every residential and business address in the area in September. The deadline to be part of the most effective and inexpensive way to reach the majority of Corpus Christi consumers is July 27. That’s when ad sales for the new Corpus Christi 2018 Business Directory close for the year. The directory is an innovative take on the Corpus Christi Blue Book, more formally known as the Corpus Christi Telephone and Internet Directory. The new directory takes print advertising to another level with a more compact, simplified, easier-to-use format that is backed 100 percent online, hitting both media platforms with superior design and search engine optimization. A total of 115,000 copies of the book will be distributed to every residential and business address in the area. Color tabs along the front edge will make searching for a business easier and faster than a digital search engine on a computer. Advertisers in this year’s book will no longer have to compete with non-advertisers in the yellow pages. Every business still will be listed in alphabetical order in the blue pages, but yellow pages will include only bold listings and display ads from paid advertisers. For advertisers who want to be online as well, the Business Directory is backed by a vibrant, interactive website with daily news stories, business profiles, and the most comprehensive events calendar in the Coastal Bend. As a Google News Partner, Corpus Christi Business News brings in the traffic, while an active social media presence boosts consumer interest. Even before the changes, The Blue Book boasts big success. To be part of the Corpus Christi 2018 Business Directory, call Hotchkin at (361) 991-1306. Time is running out. The deadline is July 27. 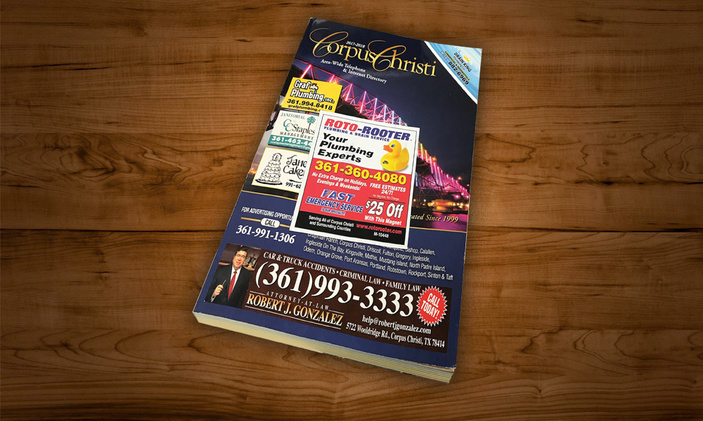 A publication of Texas Publishing Co., the Corpus Christi Business Directory is located at 4455 South Padre Island Drive #4 in the Business Commerce Park. 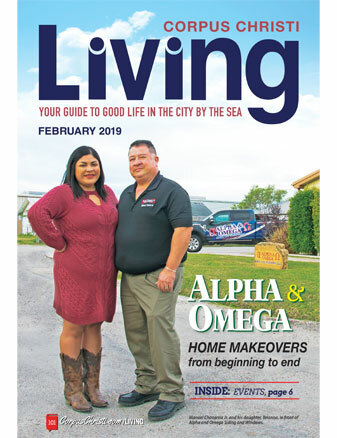 Texas Publishing also produces Corpus Christi Business News, Corpus Christi Living magazine and direct mail, 101 Fun Things to do in Corpus Christi, 101CorpusChristi.com, and CCBizNews.com.